Debbie Wosskow has founded, grown and sold a bunch of companies. Done that, she had some solid advise to share at Stylist Live event on Saturday 11th November. She turned out to be also an excellent storyteller. When I was a child, my mom observed that I have an expensive taste. She then encouraged me to make money. She also teached I wouldn’t meet anyone of my equal in the kitchen. 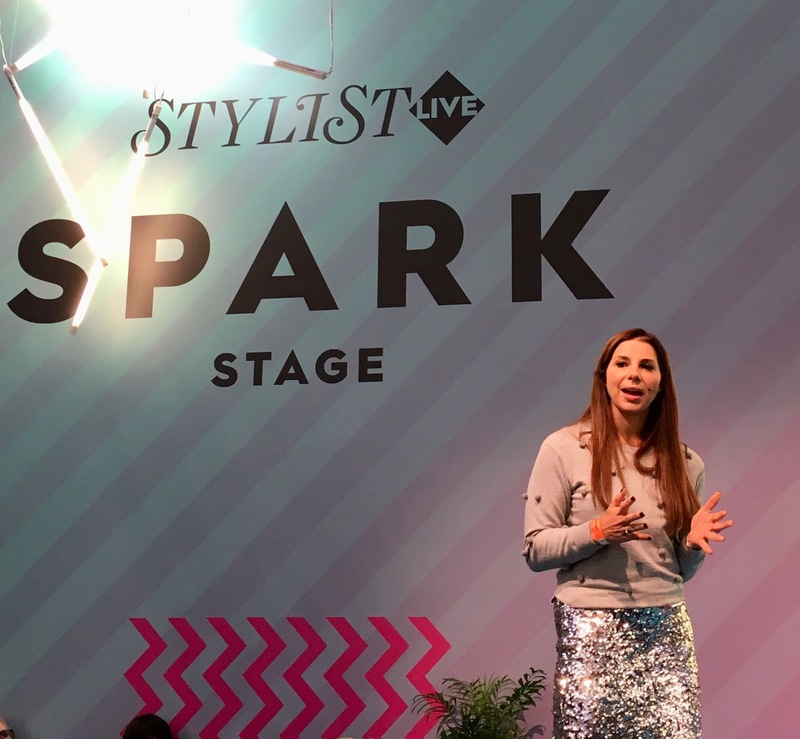 Debbie Wosskow’s speech made otherwise crammed #stylistlive totally worth the visit. During 30 minutes she injected ‘it is hard but doable’ and ‘women MUST support each other’ spirit to the audience. And not just by some crappy motivational affirmations, but actual stories and real life advise. When founding a business of her own, she likes the goose bumb test: is it so good, that it won’t let you sleep? Do you wake up at night thinking about it? And the idea might strike just anywhere – the seed for Love Home Swap was plant after a not so good holiday, watching the film Holiday on plane on the way home. She recently sold the company for close to 40 million pounds. Nowadays she is running Allbright, a VC supporting women founders only. Again, not an easy start: Still a year ago she heard comments such as ‘there is no such thing as a great founding female entrepreneur’. Well…. actually the numbers show, that female founders provide on average 39% better return on investment than their male counterparts. Wosskow is running Allbright with ex-Hearst CEO Anna Jones. In addition to just raising and investing capital, they have higher purpose: To make the way smoother for female founders. Men have less self-doubt, women need to be educated to get over it. Allbrights provides training for fresh female entrepreneurs from short evening courses to 12 week programme. The aim is to demystify the founding process. Wosskow and Jones are soon upping the game again. They are also opening UK’s first female only member’s club, The Allbright. The first space is to open in February 2018 on Charlotte Street. Two further spaces will open later in 2018, one more in London and one in Manchester. Women still need space and a room of their own. Finally, to the three magic Gs. Graft. You must to enjoy the work, so that you are willing to put into it the late nights and all that. Grace. In a high pressure environment, it is easy to be short tempered. Don’t burn bridges, build relationships. Grit. Do you really got the appetite? Do you keep going and keep doing it even when you don’t feel like it? Wosskow, a single mom of three (she did not particularly recommend this, quite the opposite) had also other practical every day recommendations. Posted in event, fitter for career and tagged career, mentally fitter, people to watch, tips. Bookmark the permalink.